Aquinas's commentaries on St. Paul are well known and have received significant attention in the past few years. It is widely known, too, that Aquinas quotes Paul often in the Summa Theologiae. This aspect of the Summa, however, has not been studied in detail. This book seeks to fill that lacuna in scholarship. 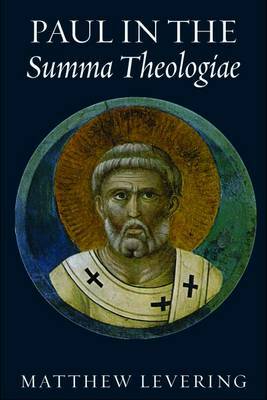 The book's brief introduction treats Aquinas as a biblically erudite theologian, and offers some basic statistical data regarding his use of Paul in the Summa Theologiae. The book's nine chapters track in detail Aquinas's use of Pauline quotations in his theological argumentation. The first six chapters examine Paul in particular "treatises:" the triune God, grace, charity, the virtue of religion, the Passion of Christ, and baptism. The last three chapters investigate Pauline texts as they are used throughout the Summa: Romans 1:20, 1 Corinthians 13, and Philippians 2:5-11. Chapters 1-3 are organised by the order of the treatise; chapters 4-6 are organised by order of the Pauline letters. This multifaceted procedure provides a rich, detailed picture of Aquinas's use of Paul in the Summa. The guiding question is whether, and if so how, we can describe Aquinas's theology as Pauline or as deeply influenced by Paul. Aquinas does not seek to understand Paul's theology in its Second Temple context, and Aquinas often uses Pauline texts in a way that takes them out of context or that uses them in response to a theological problem unknown to Paul. Levering argues that Aquinas's theology is indeed deeply Pauline, offering ample evidence that Aquinas captures the central Pauline themes and gives them a central place in his own theology.